The countries of Southeast Asia are prone to water-related disasters. The ability to make accurate and timely predictions about the timing and potential severity of floods and storms can save lives and property. But UNESCO’s water resources program for semi-arid regions, G-WADI, has developed a number to tools to assist in precipitation estimation and flood and drought forecasting. ICIWaRM is the Technical Secretariat for G-WADI and helps fund the development and application of its tools. In January 2015, a technical training session on G-WADI’s PERSIANN tool “for Planning and Management for Natural Disasters in Monsoon Asia” was held for about 50 water scientists and engineers during the Thai Hydrologist Association’s (THA) 2015 conference. PERSIANN stands for “Precipitation Estimation from Remotely Sensed Information using Artificial Neural Networks,” and is a system developed at the University of California, Irvine’s Center for Hydrometeorology & Remote Sensing (CHRS) to monitor and estimate precipitation through satellites. On 1-2 October 2015, a follow-up Technical Training Workshop was organized by the ASEAN Academic Network and UNESCO at Chulalongkorn University’s Faculty of Engineering in Bangkok. 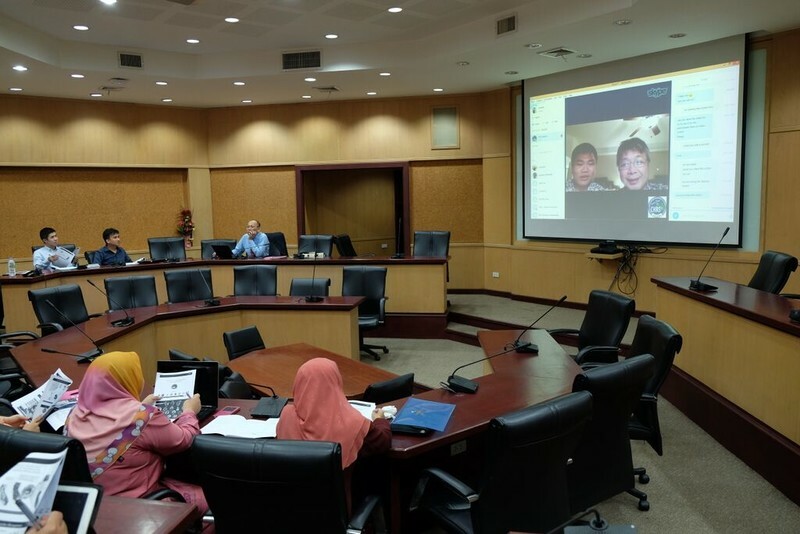 It brought together academics, scientists, policy-makers and researchers for an information-sharing and learning session, particularly on the potential benefit of satellite-based rainfall applications in ASEAN countries. 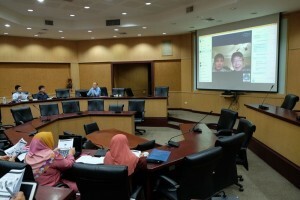 University of California, Irvine researchers Kuolin Hsu and Phu Nguyen address workshop participants remotely. Source: UNESCO. Ten researchers from Indonesia, Cambodia, Viet Nam, Lao PDR, Indonesia, Malaysia, Brunei, and Philippines and another 10 from Thailand participated in this two-day technical training on various PERSIANN products. These included PERSIANN-CDR, which contains a record of climate data on precipitation of over 30 years, the near real-time G-WADI PERSIANN-CCS GeoServer, and PERSIANN-CONNECT, a searchable database of global extreme precipitation events with various climate characteristics. Network participants plan to develop a technical manual on PERSIANN with case studies featuring validated results from participating countries. They are also planning for another workshop to focus on techniques for adjusting biases in the use of the technology. More information on the event may be found at http://www.unescobkk.org/news/article/asean-disaster-prevention-efforts-stepped-up-with-satellite-systems-training/.